4 Bedroom 3 full bath Ranch style home. 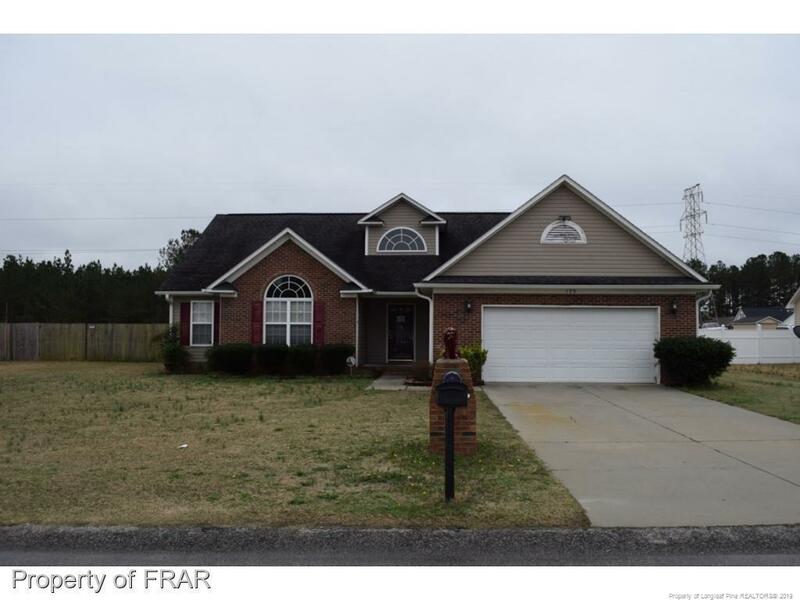 Features great room with fireplace, kitchen/dining combo, walk in closet and double vanities in master, double car garage, and a large backyard with private fencing and a screened in porch. Great location with easy access to Fort Bragg. Property is being Sold As-Is and all information is subject to buyer verification. This property may qualify for Seller Financing (Vendee).